What did Youness Barakat do to be considered a Cash Game Festival legend? 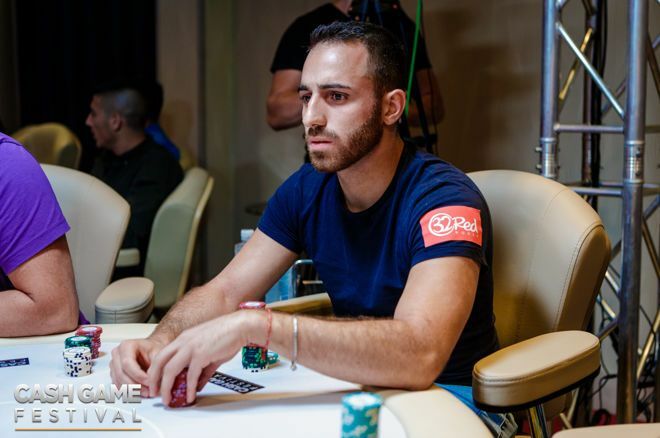 Italy's Youness Barakat has become a Cash Game Festival legend at the Cash Game Festival Bulgaria at Platinum Casino in Sunny Beach, Bulgaria. The Italian, who was born in Bulgaria and now calls London home, is the first player to win the first three of four feature tables at any Cash Game Festival. This is even more remarkable as Barakat is new on the scene after coming to Sunny Beach to attend his very first Cash Game Festival. "It always feels nice to win one feature table but winning three is even more satisfying." It all began yesterday when Barakat won €996 (332 big blinds) at the €1/€3 no-limit hold'em feature table. This was just the beginning as he was back in action to prove hold'em wasn't the only game he could dominate. He showed he could hold his own in pot-limit Omaha as well. At Thursday's first feature table, he won €128 at a wild €2/€2 pot-limit Omaha feature table that featured a few four-digit pots. Not to be outdone, he set the record on the late Day 2 feature table after winning €931 (186.2 big blinds) at the €5/€5 no-limit hold'em feature table. Barakat was fired up when he found out he set a new festival record at his very first Cash Game Festival. "It always feels nice to win one feature table but winning three is even more satisfying," said Barakat to PokerNews. "I am just very happy about it and hope I win a couple of more. "I learned about the Cash Game Festival from the last stop at Aspers Casino in July and was immediately intrigued," said Barakat. "I then heard about the next stop in Bulgaria and knew that I had to attend as Bulgaria was once a place I called home." "I knew that I had to attend as Bulgaria was once a place I called home." 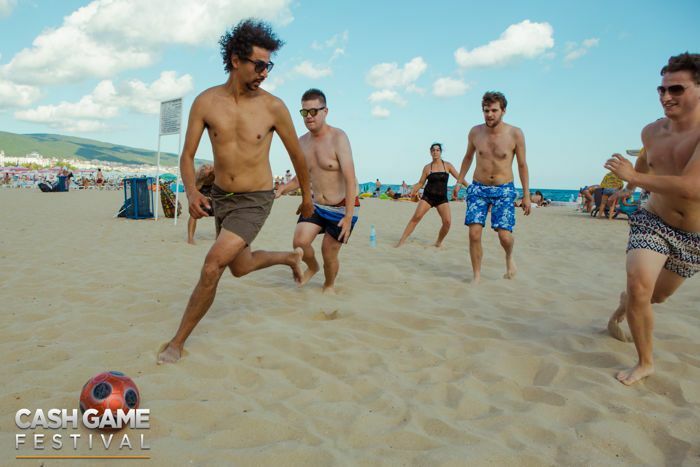 In addition to the amazing action at the tables on Day 2, many players enjoyed the organized activities away from the felt in Sunny Beach. Both beach sports early in the day and the first of two parties at night were some of the highlights away from the tables. Barakat was unable to attend the party, but he did enjoy meeting the crew and some of the players during the beach sports activity. "It was great fun, I also feel it is great to mix sports and poker when you are playing," said Barakat about mingling with the crew and players during the organized beach sports. "I believe it keeps you more focused and relaxed when you are at the poker table when you have had a chance to exercise and meet many of the players. I feel it was very well organized and I thought the banana boat ride was absolutely amazing." Barakat recommends the Cash Game Festival for any player: "I think this is great for any player," Barakat said. "Even if you are losing at the table, you will have great fun with the atmosphere the festival provides." Day 2 wasn't all about Barakat as there were at least a dozen tables in action at a variety of stakes and games. Anyone in the casino could immediately feel the buzz and excitement. Even players not at the festival were able to get in on some of the fun. Cash Game Festival partner 32Red Poker hosted five freerolls for viewers of the stream, and more are planned both by them and the festival's other partner Unibet Poker during the remainder of the festival. There is still plenty of action left at the Cash Game Festival Bulgaria. Stay tuned to PokerNews live reporting section as we bring you the highlights of the remaining three days. * Photos courtesy of Natalie Black/Cash Game Festival.